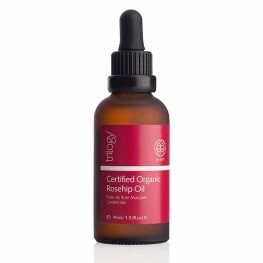 Rosehip oil, the product that started the natural skincare revolution. this versatile oil is suitable for a wide range of skin types and is especially excellent for body care, helping to improve the appearance of scars and stretch marks. What makes our rosehip special? 80% essential fatty acid (Omegas 3 and 6) and fatty acid (Omega 9) content. Our oil is also the only clinically proven rosehip oil on the market. cannot manufacture essential fatty acids, they must be provided. Rosehip oil is lightweight and superfine, with a similar pH to our own skin sebum (oil). This allows the oil to be rapidly absorbed, leaving no residue and delivering essential fatty acids topically to the skin. Ideal for all-over nourishment and repair, skin is left feeling healthy, smooth and hydrated. 1. 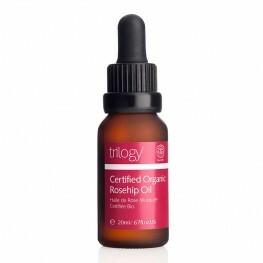 Clinical study on 10 women over 12 weeks using Trilogy Certified Organic Rosehip Oil. Twice daily use. 2. 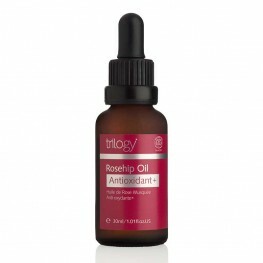 Clinical study on 20 women over 8 weeks using Trilogy Certified Organic Rosehip Oil. Twice daily use. You can find the benefits of certified organic rosehip oil throughout our range of Face Care and Body Care products, as well as Everything Balm and Hair Care. Pure natural rosehip oil to deliver all-over nourishment and repair for optimum skin health. ..
A powerful beauty oil for healthier, younger looking skin. Our unique formulation Rosapene™ provi..